In the United Kingdom, a census of the population has been taken every 10 years since 1801, with the exception of 1941 (although a similar register was taken on 29 September 1939, shortly before the outbreak of war). In Ireland, the census was taken along with the UK census until 1911. No census was taken in Ireland in 1921 because of the Civil War. The first census taken by the Irish government was in 1926. 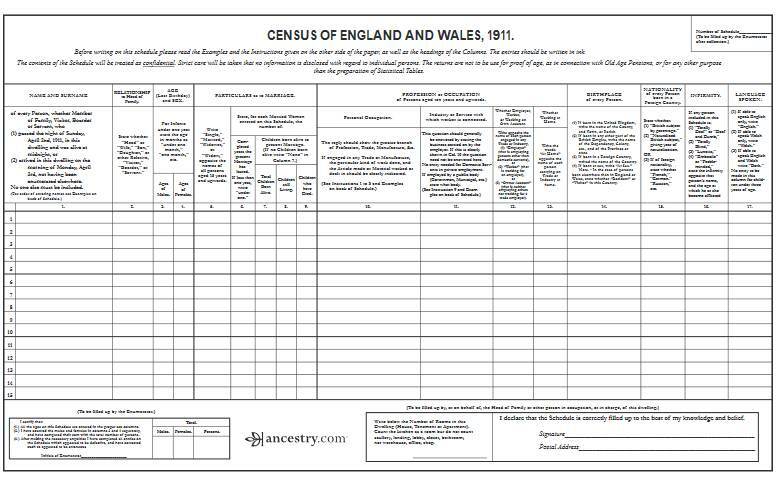 Census records are released to the public a hundred years after they were taken, meaning the latest census we can view is 1911 (although the 1939 Register is also available for England and Wales). The next full UK census released will be the 1921 census, which is due to be published on 1 January 2022 (though there is growing pressure for it to be released earlier). The next Irish census released will be in January 2027.